Gustav Stickley and the American Arts & Crafts Movement. This entry was posted in Avery on the Road, Drawings & Archives on June 21, 2011 by Ted. The Avery Index to Architectural Periodicals has expanded its direct online access to full-text scholarly journal articles by taking advantage of coded links provided by selected publishers. These links, identified by a DOI (digital object identifier) are “names” assigned to “entities” for use on digital networks. Information about a digital object may change over time, including where to find it, but its DOI name will not change. The DOI System provides a framework for persistent identification, for managing intellectual content and metadata and for linking users with content suppliers. The DOI System is an ISO International Standard. the x’s being a unique numeric code applied to the article. Clicking on the urn:doi link will take the Index user to an E-Link that will provide direct access to the full-text article, either in pdf or html format. At present, the Avery Index on ProQuest is the most reliable provider of full-text access via the digital object identifier. Some of the journal titles currently accessed by DOIs in the Avery Index are: Environment and Planning A, B, and D, Australian Planner, Vernacular Architecture, and London Journal. This entry was posted in Avery Index to Architectural Periodicals on June 14, 2011 by Ted. Happy Birthday to Frank Lloyd Wright (8 June 1867–9 April 1959). Avery Library has many Wright drawings and archival holdings. This entry was posted in Drawings & Archives, Frank Lloyd Wright Foundation Archives on June 8, 2011 by Ted. Burlington Magazine Publications Ltd. has created an Online Index which includes the entire content of The Burlington Magazine dating from March 1903 to December 1987, with additional coverage to 2002 in progress. 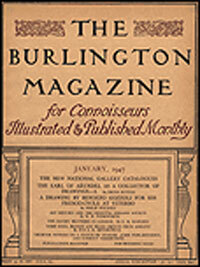 The Burlington Magazine has been a major source of scholarly art historical research since its inception, and has been indexed to a greater or lesser extent by commercial and academic indexing services including the Avery Index to Architectural Periodicals (1903-2011), Art Retrospective and Art Full Text (1929-2011), Bibliography of the History of Art/International Bibliography of Art (1972-2006), ArtBibliographies Modern (1973-2011), and others. The Burlington Magazine Online Index is free to use, subject to free registration (a Columbia email account and a password), and allows access to JSTOR’s scanned, full-text articles and illustrations of the magazine (currently 1948-2005 for JSTOR coverage). Searches can be conducted by content and by illustrations. Print copies of The Burlington Magazine are accessible on open shelves in Avery Library (N1 B925). This entry was posted in Research Services on June 7, 2011 by Ted. Avery Index will be among the products migrated to EBSCOhost as a result of the EBSCO – WilsonWeb merger announced today. We do not have a migration schedule yet, but WilsonWeb subscribers should not experience any suspension of access to the Avery Index during this transition period. Please see the EBSCO – WilsonWeb Merger FAQ for more information. Avery Index subscription is also available through ProQuest and OCLC Please contact your database provider or the Avery Index directly if you have any questions at this time. 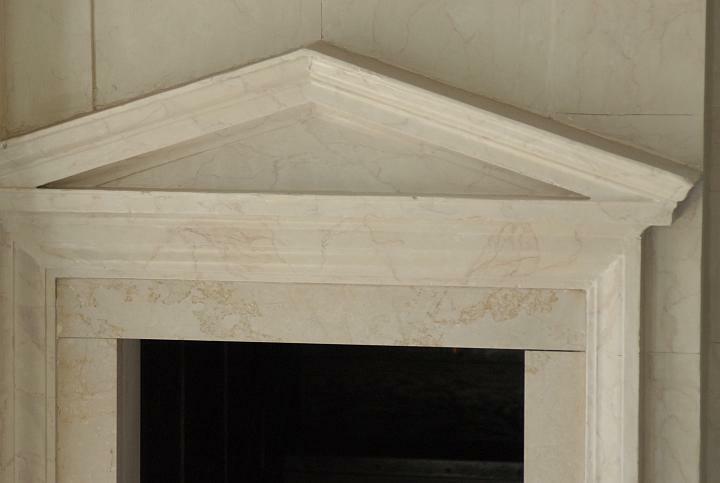 This entry was posted in Avery Index to Architectural Periodicals on June 2, 2011 by Ted.